I can’t possibly do justice to the new Sony offerings given my travel schedule, but I will be reviewing the A7R in great detail in Guide to Mirrorless, and probably the A7 along with it, and perhaps even the RX10 as well. Search for the Sony A7 at B&H Photo for pre-order. Readers know that the Sony RX1R was a stellar camera in my testing, but the A7R has a high-res EVF built-in along with an ultra-high-res rear LCD (much higher-res than Nikon/Canon) and hence is very attractive. But there is a lot more than that to the new Sony offerings and so the folks over at Nikon and Canon might want to change their soiled underwear: the Sony A7R (and A7) are the cameras that could really eat into the sales of the inertial nothing-really-new-it’s-still-2008 DSLRs. Heck, neither company has yet to understand than an EVF is a terrific addition to any camera. You see, the A7R offers the resolution, and the A7 covers the focusing and frame rate angle (excluding serious sports and action shooters, but that’s a small market). Can the Sony/Zeiss lenses deliver fully to 36 megapixels? I’ll got out on a limb and tentatively suggest that the new 35mm f/2.8 Sonnar on the Sony A7R might well relegate the far bulkier Nikon D800E to 2nd place: the A7R sensor is 18-24 months further along (and is 14-bit), and the lens has been designed for it. It’s a pity that Sony did not simultaneously upgrade the fixed-lens RX1R to the same 36MP sensor as the A7R. As well, lens adapters allow the use of Leica M lenses and many others (Nikon, Sony Alpha lenses, etc). It remains to be seen whether ray angle is a problem for wide angle lenses, but let’s cross our fingers on that one. Is there anyone that still seriously insists that Micro Four Thirds is compelling on a size weight basis? Well, that’s still possible to insist upon in certain cases for certain lenses, but it breaks down pretty quickly when the facts are examined for all aspects. As I wrote several months ago in those editorials, APS-C and full frame offer a vastly larger sensor at similar or lower weight. But now we are talking full-frame at lower weight. Sony A7R: 465g with battery and card + 120g for the 35/2.8 lens. Olympus E-M1: 497g with battery and card + 120g for the Olympus 17mm f/1.8 lens. Wow. The Sony A7R full frame camera with equivalent lens is lighter than the equivalent Olympus E-M1 Micro Four Thirds setup. Actually, the f/2.8 lens on full frame would have to be f/1.4 (!) on MFT to be equivalent in depth of field and blur potential. So the Sony wins there also. Oh, and the Sony A7R has 36 megapixels in which each of those pixels is 30% larger in area than the 16 megapixels of the E-M1—2.25X the pixels in 3.8 times the area = more and larger and higher quality pixels. At least for the ~35mm focal length, the MFT solution looks seriously handicapped. The Sony A7R + 35/2.8 lens costs more, but not hugely more, and anyone looking at a multi-lens system surely prefers a more capable camera for the longer term. That said, the E-M1 is still an excellent camera, and its in-body image stabilization has great appeal for video use. But is not smaller and it is not lighter, at least not with the 35mm (equiv) focal length. Consider that a good grip and high-res EVF are built-in on the A7/A7R. Thus, the A7R starts to look like a bargain relative to the RX1R, even after the $800 or so for the Sony/Zeiss 35mm f/2.8. Below are some photos of the new Sony A7 / A7r. The A7 and A7R are pretty awesome by the spec list, including 24 and 36 megapixels sensors respectively, along with the best EVF and rear LCDs yet seen together on any camera. The lens line is a weakness, but with the range of 24-200mm covered high quality zooms, along with adapters for various lenses, this limitation is not so significant for most shooting. With the 35mm f/2.8, the A7R looks to be about the same size as the Sony RX1R. The loss of one stop of brightness was almost certainly necessary to achieve that near match. 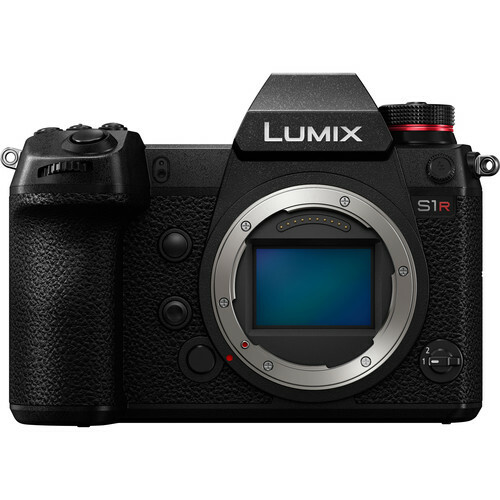 The built-in grip looks to be vastly superior to the no-grip of the Sony RX1R: one less extra to buy, which effectively lowers the total price of the camera, especially with the built-in high-res EVF included also. But please Sony, eliminate the inane scene modes. And it’s about time that an exposure longer than 30 seconds can be made without needing a special remote release. Try finding a tilt screen on a Nikon or Canon full-frame DSLR. The A7R with the 24-70mm f/4 zoom is a chunky package, but no doubt will appeal to those who like to cover a zoom range, my advice being that zooms serve a useful function in certain situations, but a fixed lens tends to make the photographer think more carefully about perspective and composition—less is more. Part of the appeal of the A7R is its relatively small size, but with the 24-70 zoom at 460 grams, it becomes more substantial. Still, this is probably very acceptable, and that f/4 aperture keeps the weight to a reasonable level. Whether it can deliver top image quality to a 36-megapixel sensor is an open question. At a featherweight 120 grams, the 35mm f/2.8 Sonnar looks to offer a really appealing package. It’s quite possible that the lens performance will be as good as the 35mm f/2 Sonnar found in the Sony RX1R, since the loss of one stop allows a higher degree of correction with less strenuous optical efforts. The 281 gram 55mm f/1.8 is a Sonnar design, and it surely is not an APO-Distagon. It is not hard to imagine carrying a 35mm f/2 + 55mm f/1.8 + 21mm f/2.8 (? ), and calling it a solid kit. Of course the zooms can fill in too, and more lenses will come. The 840 gram (without tripod collar) ZE FE 70-200mm f/4 OSS keeps the weight down by its f/4 aperture.